The approach was low key over the weekend: there was a planting of trees ceremony on Saturday, followed by presentations and today a joint announcement by primary industries minister Teresa Kok and Sabah chief minister Shafie Apdal of a first stage reforestation initiative in Lahad Datu. However, the potential significance to Malaysia and to the world of this change of approach by the federal government, working together with industry and one of the key rainforest states is huge, both to the future of the country’s economy and to the global environment and climate change. Today’s kick-start announcement entails a commitment to the planting of a million trees over 4,000 key hectares of degraded primary forest land. However, the eventual ambition entails a massive reforestation of no less than 61,000 hectares of degraded forest in the state, a target that could save countless species of currently threatened plants and animals in Borneo. 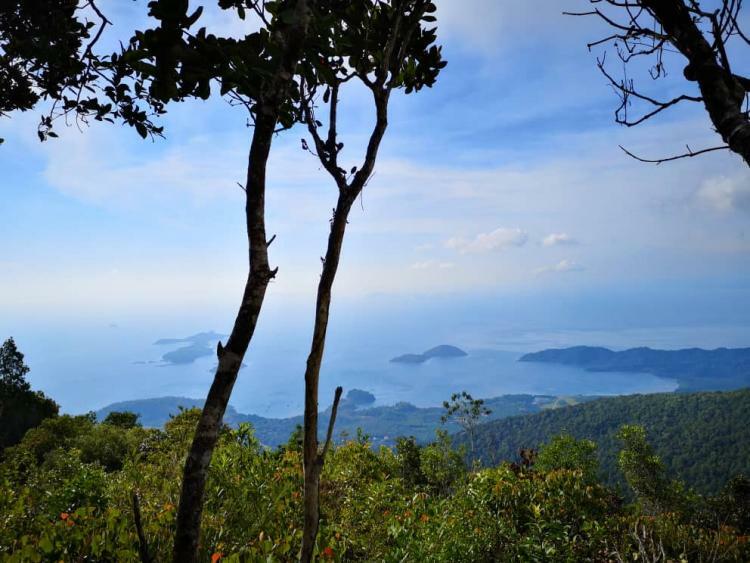 If successful the move will signal a start to the restoration of Malaysia’s status as one of the world’s top eco-destinations, opening up other potential reforestation projects and a myriad of opportunities for future generations. “Industry [logging and oil palm] has been accused of deforestation and destroying wildlife and bio-diversity of the jungle. So let us address this issue before we sell more palm oil in Europe..
We need to protect our forests and show we are doing good agricultural practices. We want to show to the world Malaysia can produce sustainable products, including sustainable palm oil. This is why we are so serious about this. We want to plant a million trees. We are not going to harvest these trees for a hundred years. Thanks to the state government for providing this land. We asked for them to give us this land but only for us to plant natural trees. The minister had paved the way for the announcement the previous Friday with a key series of pledges agreed in cabinet to bring Malaysia’s oil palm industry within bounds and under sustainable management. The core comittment is to cap expansion of land under cultivation to 6.5 million hectares. This is in excess of the current area of 5.8 and it was a disappointment for campaigners urging a total freeze. The extra allowance, officials say, was forced by the state of Sarawak, which apparently claims it has already alienated the margin of extra land from Native Customary Land use and concessioned it out to businesses. Little surprise, given the state has so far shown little concern for its global class environment heritage or the wishes of native peoples. The second key comittment is to ban further use of peat soil, which has been a major driver of global carbon release. The third is to rule out any further encroachment on permanent forest areas – a major problem in Sarawak. And the fourth is a promise of transparency over all present and future land use decisions. 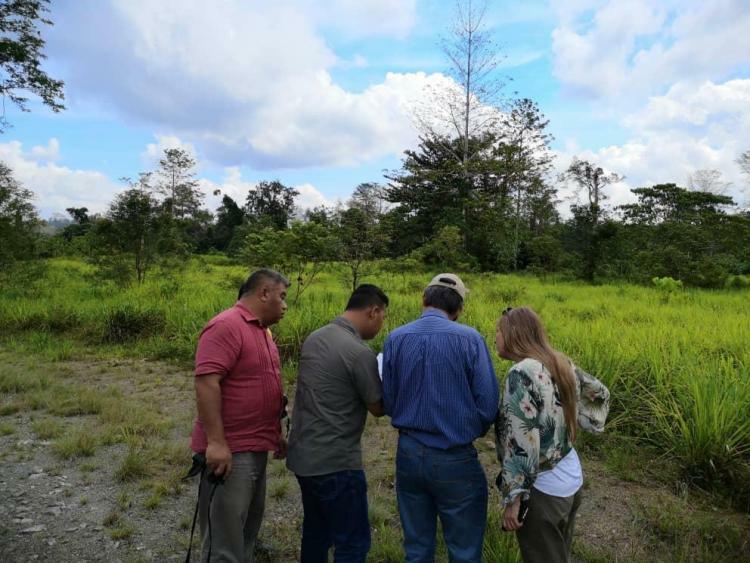 Sarawak Report gained an exclusive opportunity to attend a departmental reconnaissance trip over the weekend into the proposed kick-start area for the joint reforestation project. 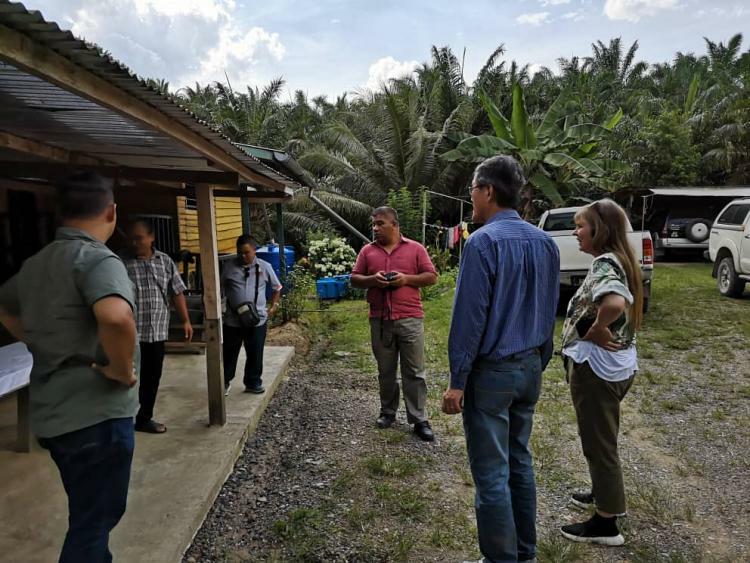 Significantly, Kok has enlisted the help of oil palm industry players – six of the top Malaysian producers – to fund the project with a commitment of RM20 million. That will be targeted at restoring at least 4,000 hectares of Class 1 forest destroyed by illegal logging and then fires that took place in the 1980s and then 1990s in the Lower Kawag river region. Another 2,600 hectares need to be covered to complete the project. Inspecting recently planted ‘climax’ tree seedlings designed to speed regrowth of natural canopy forest – perfect for orang utan. Because of the burning the seed base of the area has been destroyed meaning that only low grade scrub has returned to the area. However, on either side 30 year old tertiary forests have been allowed to regrow, providing valuable refuge for endangered animals such as the Orang Utan and Pygmy Elephant. Many ‘climax’ forest trees have already started to tower into canopy forest. 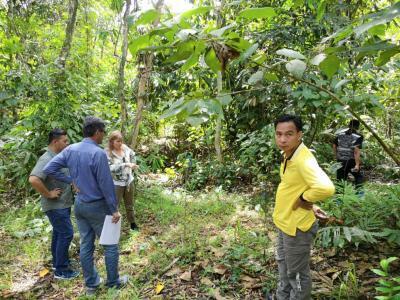 According to experts from the Sabah Forestry Department, the restoration of Lahad Datu would provide a crucial wildlife reserve and also corridor between the adjacent forests, giving more vital space and protection to such species. The targeted replanting will help speed up the return of canopy forest that would otherwise take decades longer to achieve. The commitment to conserving the area from logging will also assist in the forest department’s campaign to block attempts to return any further logging to the existing re-growth areas, which have already started to flourish as major tourist attractions in their own right. 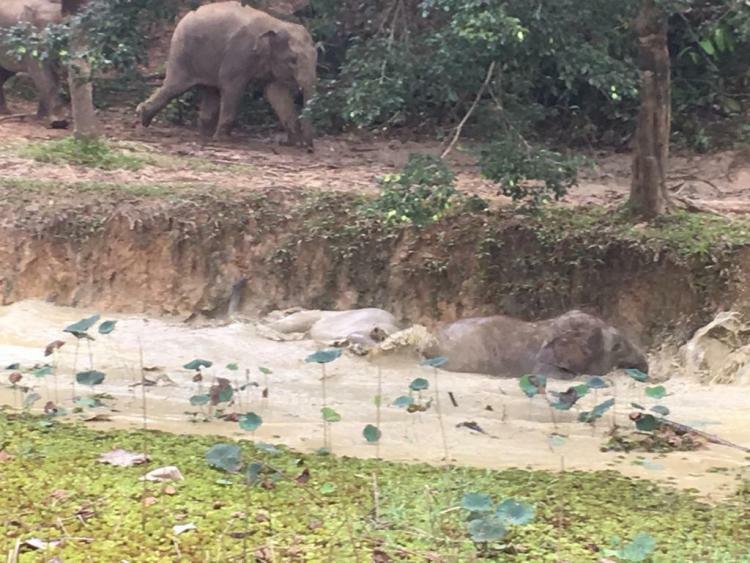 The nearby sanctuary at Sepilok, which the minister visited on Sunday has already expanded its visitor rate from just a few hundred a year when it opened to over 70,000 last year. However, its forest area extends only to 4,300 hectares meaning there is pressure already on space for the rescued animals returning to the wild. 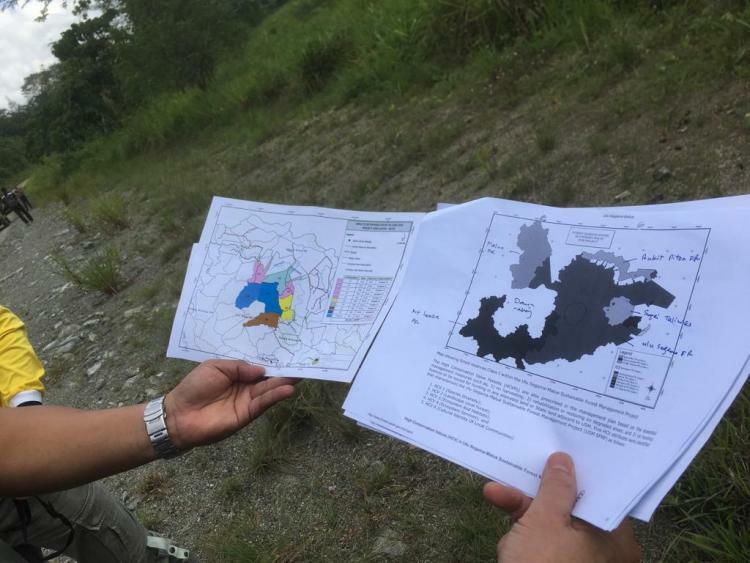 Sabah Forestry Department officials showed the federal ministerial team a map of the wider area of 61,000 hectares of degraded lowland forest that the state is willing to consign to total protected status, should investment be found to replant the area with natural forest. The ministerial initiative has taken on board the fact that it is not only wildlife who have been under pressure, but also traditional communities in areas like Lahad Datu. Teresa Kok and the departments involved have all stated that one top priority of this project will be the economic engagement of surrounding village settlements, who will be offered a key role in the reforestation project. When we visited yesterday local representatives assured that they were equipped and eager to support in the gathering, cultivation and plantation of Sabah’s local canopy species, of which their knowledge is second to none. was how one headman described the situation to his visitors, who had enjoyed a day spotting magnificent forest trees, monkeys and rare birds, whilst side-stepping mounds of elephant dung. Lahad Datu already has one smaller scale project underway under the Heart of Borneo initiative covering just 300 hectares. 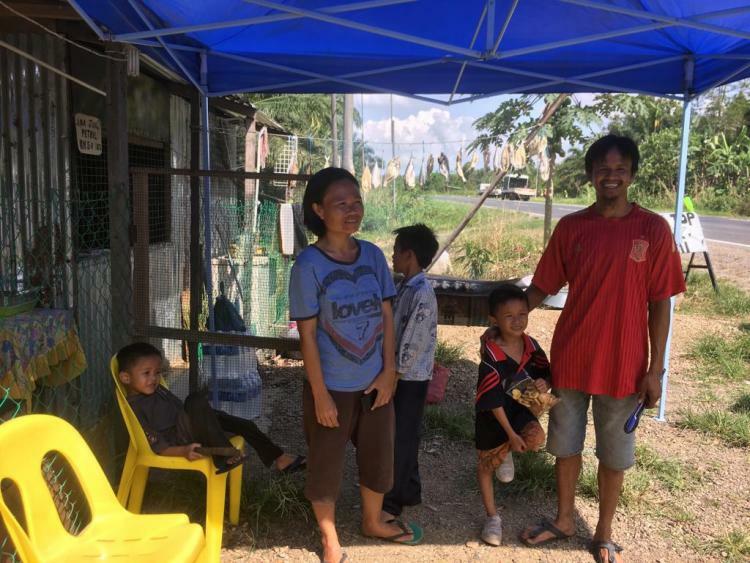 However, funding has come under strain and the project appears to have come to a standstill harming the incomes of the kampung folk. There are concerns that without proper maintainance these existing planted species may fail to thrive in the area adjoining the prospective project. one of the timber department officials told Sarawak Report. That intention was solidified by Ms Kok, who sacrified her birthday celebrations over the weekend to attend the trip. Planting the inaugural tree she stated that she intends to come back next year to see how it is getting along and also to check that the first 100,000 canopy trees have also been successfully planted in Lahad Datu. She said she would come every year after that for as long as she is minister.